Don’t underestimate the power of podcast because it changes the game in the way we see sales traditionally. It’s a game changer because YOU become the authority. 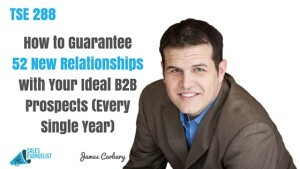 Today, we have James Carbary on the show where he demonstrates 6 crucial elements that can help you create 52 new relationships with your ideal B2B clients in the next year and that can help you get connected with your prospects. James is the founder of Sweet Fish Media where they produce niche B2B podcasts for their clients which they can use for business development. He also co-hosts the podcast B2B Growth and another recently launched podcast called Conference Notes. B2B Growth is for founders and sales executives where they talk with them about how to achieve explosive growth. Conference Notes features interviews with conference hosts about the key takeaways from some of the best business conferences in the world. Learn how James dramatically increased his response rates from 12.5% to 80% by simply shifting from cold emails to bringing prospective clients as podcast guests. Name your show by industry or by role of the person you’re trying to serve. Think through who your ideal clients are. Try to go industry-wide. It has to be attractive enough to your clients for them to listen and to be able to position your ideal clients to be expert guests on your show. Finding and contacting potential guests for your show. Be careful in sending cold emails. Keep it as short as possible. Include your link so they can easily go to your website. Have a killer email signature like your name,Twitter profile, LinkedIn profile, and your website. Be very intentional on the front end. Follow up until you have an interview on the calendar. Follow up, follow up, follow up. Follow up until they are on the calendar even if you already got an initial yes. 60% of B2B marketers say that the engaging content their buyers want is really hard for them to come up with. Let your guests choose your topic based on their background and experience. Provide a breakdown of your type of audience. This will help you know what they care about so you have a better grasp of your ideal client. 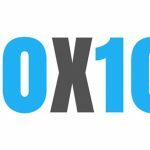 A lot of podcasts are not getting nearly the mileage out of their show because they fail to repurpose it into different forms like blog posts which you can share on different sites and social media platforms. You can also repurpose them through Anchor app – first real public radio where you can share 2-min audio clips or Periscope. 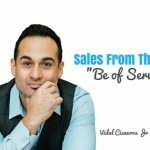 You have to nurture the relationship that you form with your guests because that’s the biggest point of doing the podcast. Connect with James on Twitter @jamescarbary twitter or send him an email at james@sweetfishmedia.com.